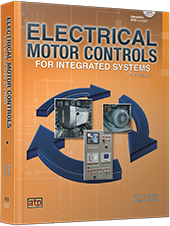 Electrical Motor Controls for Integrated Systems is the industry-leading reference that covers electrical, motor, and mechanical devices and their use in industrial control circuits. This textbook provides the architecture and content for acquiring the knowledge and skills required in an advanced manufacturing environment. In this fast-changing manufacturing environment, technicians must be competent in various aspects of mechanical, electrical, and fluid power systems for productivity and success. The textbook also serves as a practical resource for maintenance technicians responsible for production equipment and HVAC equipment. The textbook begins with basic electrical and motor theory, builds on circuit fundamentals, and reinforces comprehension through examples of industrial applications. Special emphasis is placed on the development of troubleshooting skills throughout the text. Each chapter includes checkpoint questions to reinforce key concepts, energy efficiency practices to promote energy efficiency, and Applying Your Knowledge to reinforce key motor control concepts on the DVD-ROM. Answers to the checkpoint questions are located in the Answer Keys. The Appendix contains many useful tables, charts, and formulas. The Glossary defines over 500 technical terms related to electrical theory, motors, motor control circuits, and control devices.